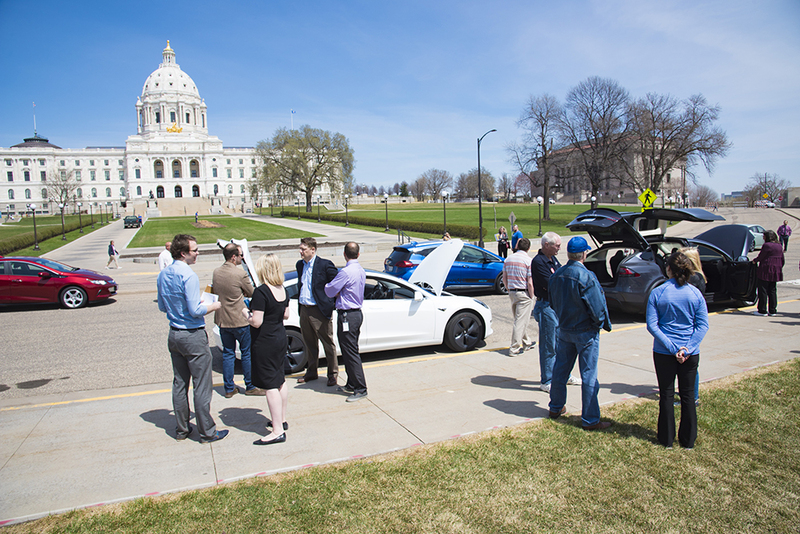 On May 1st and 2nd Drive Electric Minnesota and our partners hosted a series of events at the state capitol. Day one featured an electric vehicle briefing, connecting our members and other electric vehicle advocates with state legislators. Participants included New Flyer Dakota Electric, Connexus Energy, and Elk River Municipal Utility. Organized in partnership with Midwest EVolve, day two gave folks the opportunity to see the vehicles in person. The event featured a New Flyer EV transit bus (made in St Cloud! ), an EV school bus, along with quite the line up of electric cars.